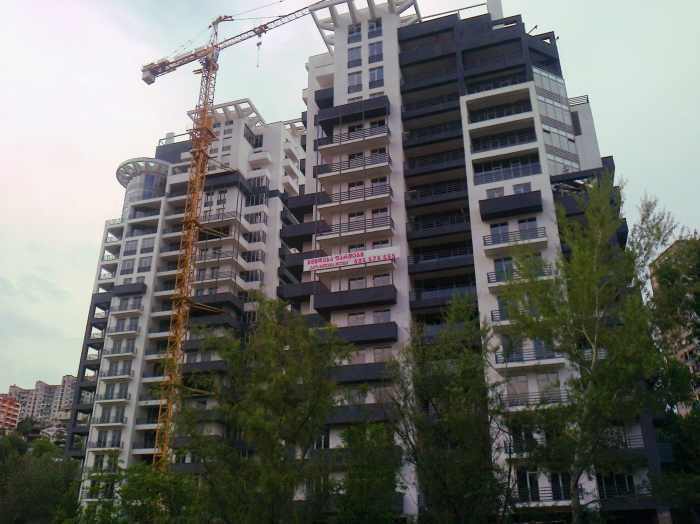 For sale apartment in a new residential complex "Geo Belgium Plus"
New residential complex "Geo Belgium plus" complex consists of two 18 and 22-storey buildings. It is located in the ecologically clean district of Tbilisi! Opened in November 2011, traffic intersection street. Tamarashvili - Varaziskhevi making it the most convenient location in terms of communicative with any part of the city. In the immediate vicinity of the residential complex there are two schools, a recreation park "Mziuri" build ultra-modern sports complex "Mziuri-Aqua." The residential complex provides underground parking, playground and recreation area for adults. The entire territory of the residential complex will be landscaped builder. All apartments have free housing complex layout. Flexible space offers unlimited opportunity to design the interior. Of the large panoramic windows of the apartments offers a magnificent view of the urban landscape and the mountains around Tbilisi. Bright architectural detail of the complex - large terraces (balconies) in almost every apartment. The apartments are set Aluminum windows, doors armored with coded locks. The residential complex is equipped with modern elevators with a descent to the level of parking. Area of apartments - from 67 square meters, number of rooms - from two to seven. Apartments housing complex shall be the preparation for final finishing. Comfort, comfort, quiet, stunning views of the city infrastructure, the high seismic resistance of the house, great location and the ecosystem is doing a residential complex "Geo Belgium plus a" very attractive for life! Georgian-Swiss pre-school education and development center “Tsitelquda”.